What Makes a Mushroom Illegal? There are many different plants and mushrooms that contain hallucinogenic compounds that have been used for centuries, mostly during religious rituals. In hallucinogenic mushrooms (sometimes called magic mushrooms or shrooms), a compound called psilocybin, or 4-phosphoryloxy-N,N-dimethyltryptamine, is responsible for these effects. These mushrooms are often found in sub-tropical regions of Mexico, South America, and the United States. Mushrooms with psilocybin cannot be inactivated by cooking or freezing and when ingested, the activated form of psilocybin, psilocin, can appear in the body within 20 minutes cause hallucinations that last for around six hours. The hallucinations caused by mushrooms can be described as strong distortions of the perception of reality, for example hearing, seeing, and feeling things that are not there. It can also cause strong emotional swings. These effects are caused by psilocybin’s ability to disrupt the proper function of serotonin, a neurotransmitter, and its interaction with nerve cells in the central nervous system. Aside from hallucinations, psilocybin can also cause lack of muscle tone or muscle weakness, ataxia, nausea, pupil dilation, drowsiness, and vomiting. These side effects are particularly visible when taking psilocybin as a pure dose between 10 to 20 mg. While a pure dose of psilocybin has relatively predictable results, mushrooms are most commonly consumed by preparing hem either dried or brewed. Doing so makes the effects of the chemicals much less predictable. In this situation, the age of the mushroom as well as how well it is preserved acts as a determinant for the effects. According to the United Nations 1971 Convention on Psychotropic Substances, psilocybin is listed as a Schedule I drug but is not covered by any of the UN drug treaties. In the United States, possession of these hallucinogenic mushrooms is illegal. Under the Controlled Substance Act, psilocybin is considered a Schedule I substance, alongside other drugs such as LSD and heroin. 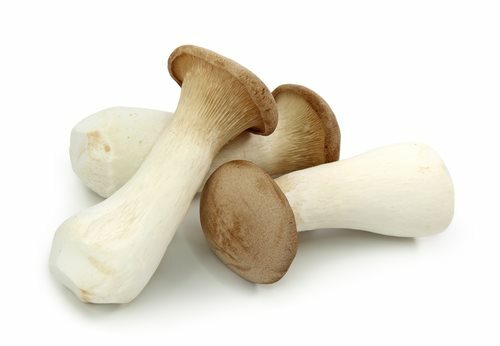 These mushrooms have very little if not a complete lack of legitimate medical purpose yet a high potential for abuse. Unlike the mushroom, the spores do no contain any psilocybin and are this legal in the majority of States, with the exception of Georgia, California, and Idaho. However, these spores cannot sold if used for the purpose of cultivating hallucinogenic mushrooms. California further bans selling, trading, importing, buying, or giving away the spores. All states except New Mexico consider growing psilocybin containing mushrooms to be illegal. While New appeals court ruled that growing psilocybin containing mushrooms for personal use could no be classified as manufacturing a controlled substance, federal law still makes it illegal.